Enjoy this great combo package for all those who want to experience a bit of power and also the freedom of sailing. Depart from the Waterfront for a short sail in Table Bay, followed by a transfer to the jet boat for a high speed boat ride to Clifton. A minimum of 4 passengers is required in order for this package to take place. Numbers: This experience is for four and may form part of a group. Weather: Sailing is weather dependent. Duration: Allow 2 hours for this experience. 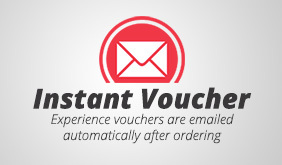 Additional Information: This package includes a nominal service fee and an electronic gift voucher.